With the holiday season upon us again, it's time to warm our hearts in the glow of family kitchens across the country. Looking to treat your loved ones to a delicious dish? 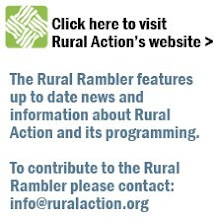 Then look no farther than the communal cook book shared by your friends at Rural Action! Our website, Ohio Foodshed, has a variety of amazing recipes, like the one below, a gift from your Rural Action family this season. Step 1: Place almonds and 1/4 c. oats in bowl of food processor; process to fine crumbs, about 20 seconds. Place crumbs in medium bowl and set aside. Step 2: In a large bowl, combine remaining oats, dried fruits, sunflower seeds, coconut and cinnamon. Step 3: Add soynut butter, honey and extract; combine well until mixture begins to stick together. Step 4: Using gloves or moist hands, form mixture into 1-inch balls, coat lightly with almond-oat crumbs, and place in airtight container, separating layers with parchment paper or plastic wrap. 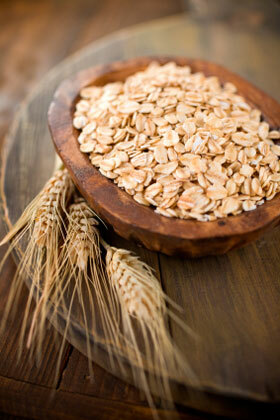 Refrigerate at least 4 hours or overnight to allow oats to absorb moisture. Makes 36 (1-inch) granola balls. For more great recipes and year round info about local food stop by ohiofoodshed.org and don't forget to eat with the seasons!